These protein pancakes have 22 grams of protein per serving and are ready in under 10 minutes. It doesn’t get easier or healthier than that! Pancakes are always awesome, and adding protein powder pushes them right into the “greatest thing ever!” category. Who doesn’t like a healthy pancake in the morning? 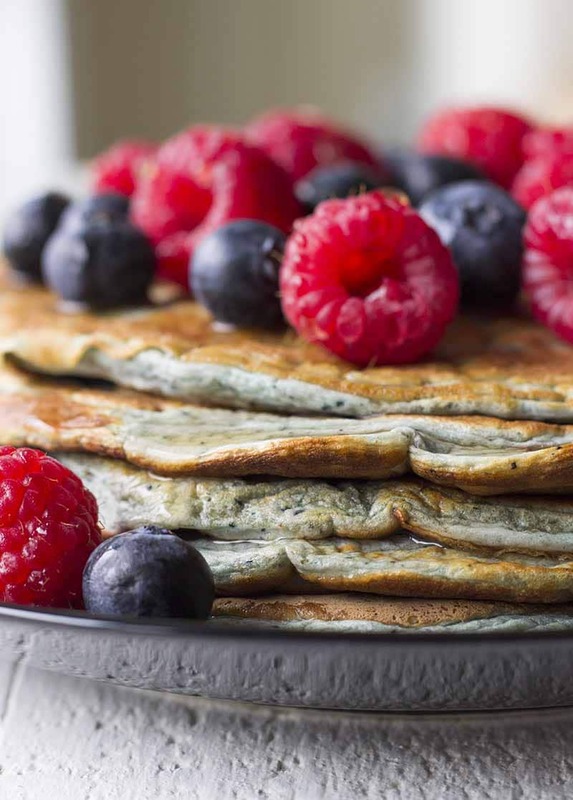 These easy protein pancakes aren’t just simple to make and super healthy, they are also some of the best-looking pancakes if I may say so myself. They are really moist and fluffy, and the blended blueberries give them a great color. You can use all kinds of different berries (or even fruits) to add flavor to the pancakes. I usually make them with blueberries or raspberries because I like a little bit of tartness to balance out the sweet pancakes. It’s incredibly easy and only takes about 10 minutes. You can see how I do it in this quick video or read the instructions below. The trick to making the perfect protein pancakes is to have the right ingredients, especially protein powder (see below). As long as your protein powder has a good vanilla (or chocolate) taste and can mix with the liquid ingredients, you really can’t go wrong. 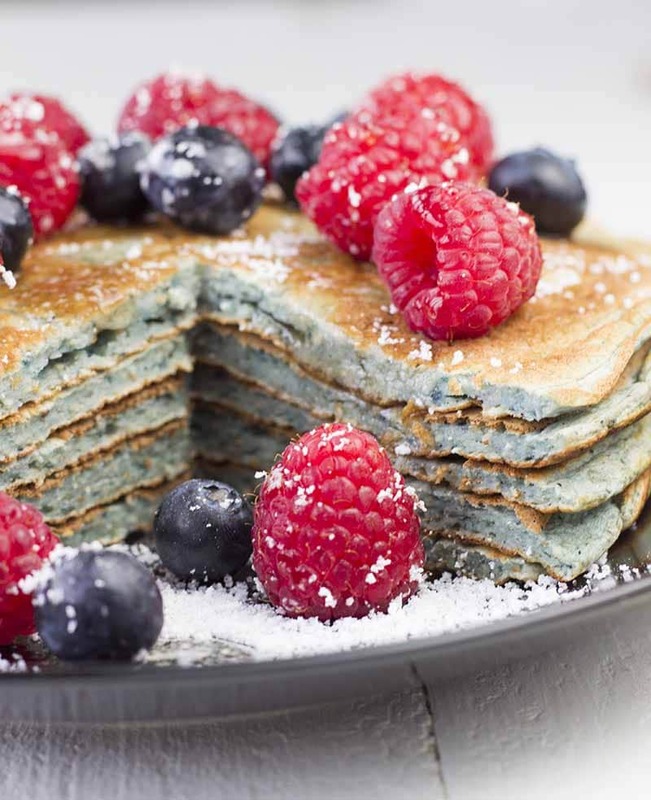 There are many different ways to make high-protein pancakes (like our High Protein Cottage Cheese Pancakes) but the easiest way is to use protein powder. I generally prefer to only use raw or minimally processed ingredients, but I will make an exception for whey protein powder. It’s just such an easy way to add protein and flavor to recipes that that otherwise would be almost all carbs. Of course, the egg whites also help a bit, but they don’t add enough protein by themselves to make this a balanced and nutritious breakfast or snack. 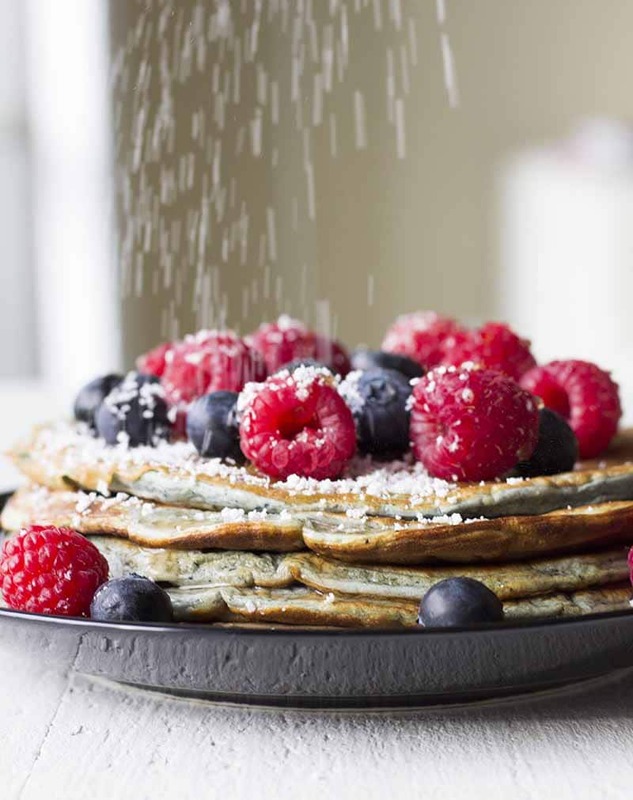 This recipe calls for vanilla protein powder because the vanilla adds sweetness and flavor to the pancakes, and tastes great with the berries. Because protein powder comes in so many flavors, you can experiment like crazy with protein powder pancakes. An obvious idea to try is chocolate protein powder pancakes, which can taste AMAZING as well. Sweet but without added sugar! Let’s be real; pancakes aren’t really pancakes without syrup on top, right? A little bit of sweet drizzle makes a big difference, and this sugar-free pancake syrup from Walden Farms does the trick! It’s the product I know that comes closest to real syrup (my hubby can’t tell the difference) without having any sugar or calories. I often drizzle the syrup on top of my pancakes and then add a sprinkle of Stevia In The Raw to give even more sweetness, but I also like my pancakes very sweet. 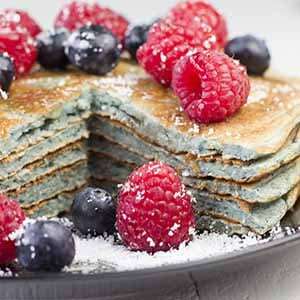 Both syrup and Stevia are optional extras — the pancakes taste great with just some fresh (or blended) berries on top. How many calories are there in a protein pancake? I think these are perfect macronutrients for a healthy breakfast or snack, but if you prefer more low-carb pancakes, you can reduce the oats by up to a third. Any more than that and the pancake batter becomes too thin to cook. When should I eat protein pancakes? The correct answer is: Whenever you like! You can eat them for breakfast, as a pre-workout snack, or before bedtime to fill up your energy reserves for the night. 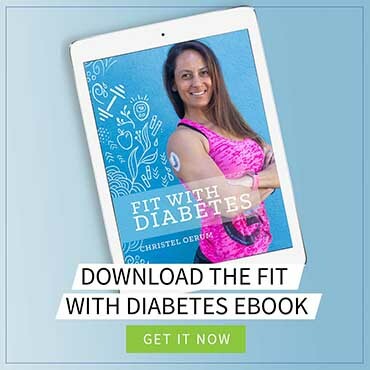 Because they are mainly protein and slowly digested carbs, they provide energy to your muscles for several hours after you eat them without spiking your blood sugar. Can you store protein pancakes overnight? Yes, absolutely! You can make a large batch and store them in the fridge for up to 24 hours before reheating them in the microwave. Make sure to let them cool before putting them in the fridge, or they will get soggy from condensation. I think this is the best protein pancake recipe out there, but I can also highly recommend these Pumpkin Pancakes. They use the same basic ingredients (oats, protein powder, egg whites) but add pumpkin puree and cinnamon for very comforting and delicious flavor. They are my go-to “winter pancakes”. I also sometimes make these keto chocolate pancakes. They only have 5 grams of carbs per serving so they are perfect for very low-carb or ketogenic diets. UPDATE: I just put together a roundup of my favorite Diabetes-Friendly Pancake Recipes. Check it out! When you’ve tried this easy protein pancake recipe, please don’t forget to let me know how you liked it and rate the recipe in the comments below! These protein pancakes have 22 grams of protein per serving and are ready in under 10 minutes. It doesn't get easier or healthier than that! Blend together all the ingredients except the cooking spray and sugar-free syrup (I use a NutriBullet). Put a pan on the stove (medium heat) and coat it with a little cooking spray. Drizzle a little sugar-free syrup on top and serve with fresh berries. 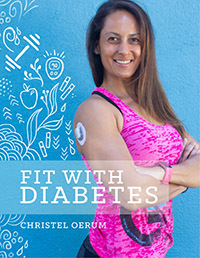 I really loved these, but I was wondering if you could recommend a plain or unflavored protein powder, I am a bari patient and I take blood thinners so I have to watch my vitamin k intake and my hubby is diabetic. Any help would be great. Whar is the best Protein Powder to use? For this recipe, I recommend Met-Rx Vanilla protein powder, you can find it HERE. Other whey protein powders might also work, but that’s the only one I can guarantee will. If i were to use regular eggs would i still use 3? Quick question: the recipe calls for 3 egg whites. Do you use regular eggs, separating the yolk from the white? Or do you buy the egg whites in a carton? If in a carton, how much is 3 whites? This is exactly the type of recipe I was looking for! I only have minute oats, do I need to make any changes if using them? How many grams of protein powder is ‘1 scoop’?